Understanding the causes of cervical spinal stenosis is a vital consideration for any patient who has been diagnosed with central canal narrowing in the neck. However, for patients who are actually experiencing pain or neurological dysfunction, complete comprehension of their diagnosis is of paramount importance, in order to better their chances of resolving the condition. Cervical spinal stenosis describes a scenario in which the central vertebral canal is reduced in patency within the neck region. Of all the types of stenosis, the cervical variety is just slightly less common than the most often seen lumbar variation. Given the wear and tear inflicted on the neck during an average lifetime, stenosis is completely expected and virtually universal. However, most cases are asymptomatic and will not result in any significant health problems, even as the degeneration progresses. Only a minority of cervical stenosis events cause pain and neurological dysfunction. However, all stenotic conditions should be monitored, in order to prevent damage to the spinal cord and spinal nerves from taking place. This investigative essay details the many possible reasons why spinal stenosis might exist in the cervical region. Spinal stenosis in the neck can be caused directly, or contributed to, by many possible factors. Some of these scenarios are universal in humans, while others are highly case-specific. Spinal degeneration affects all adults and is usually noticeable after the age of 40. However, many people demonstrate significant degeneration far younger in life. 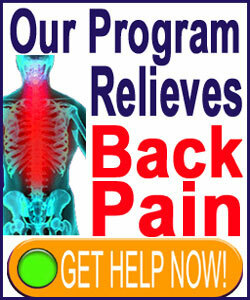 The degenerative processes act on the vertebrae and the intervertebral discs. The typical degenerative effects include facet joint deterioration, osteophyte formation on the spinal joints and within the neuroforaminal spaces, disc desiccation and herniation, loss or exaggeration of one or more spinal curvatures and a build-up or arthritic debris within the central canal. Any or all of these contributors can lead to central canal stenotic changes in the neck. Injury to the cervical spine can fracture or displace vertebral bones or can herniate the spinal discs into the central canal space. Injury can also lead to muscular trauma, subsequent spasms and a loss of spinal curvature, due to muscular tensioning of the spine. Injury can facilitate temporary or permanent stenotic changes in the spine. Some people demonstrate an overall narrowed spinal canal for idiopathic reasons. Some of these conditions might be congenital, while others might be developed or due to disease, degeneration or injury. Atypical spinal curvatures, such as hyperlordosis, hypolordosis and cervical scoliosis can decrease the effective size of the vertebral canal. We detail the full range of stenotic contributors in our section devoted to spinal stenosis causes. The neck is the most mobile region of the vertebral column. 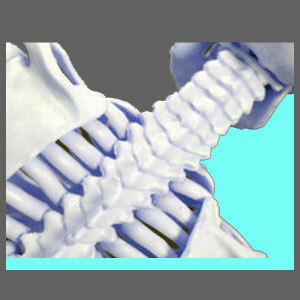 Its range of motion is unrivaled by the other spinal zones. Although the neck is thin and the spinal structures are light, the structure must still support the head and facilitate its movement in every possible direction. These facts certainly explain why spinal deterioration is universal in the neck. Since bending and flexing is known to eventually break-down the intervertebral discs and wear on the spinal joints, these are the structures that often degenerate first. Once these tissues have been damaged, increased interaction between vertebral bones will result, leading to the remainder of the age-related spinal changes often seen in the cervical region. Friction is the enemy of hard surfaces, such as bones and joints. When skeletal surfaces rub on each other over time, they will enact arthritis and cause debris to form in the affected areas. Since the structures surrounding the central canal degenerate universally, it is no surprise that stenotic changes will take place. If you are confused by what stenosis actually means, then picture all these spinal tissues breaking down around a central open space. This space is the spinal canal, which contains the spinal cord and many nerve tissues. As degeneration occurs to the bones and discs, fragments and bone spurs accumulate within this typically patent canal, narrowing it and possibly impinging on the neurological tissues. If and when these nerves become compressed by the debris, then symptoms will typically result. Being diagnosed with cervical stenosis is commonplace for adults over the age of 40. It is even relatively common for many people who are much younger, particular in gymnasts, martial artists and those who have suffered some form of significant cervical trauma. A positive diagnosis of a narrowed cervical canal does not mean that pain and neurological dysfunction are definitively caused by the structural changes. Remember, many mild to moderate stenosis scenarios are not symptom-generating. However, neurological testing, and clinical correlation of any symptoms that may exist, should determine the exact cause of the expression. Once this determination has been conclusively made, then a treatment plan can be organized and presented to the patient. If you are seeking help for cervical stenosis and would like to know the factors that led to your suffering with a narrowed canal, be sure to talk to your physician. They will be able to help you to identify the contributors that have caused the stenosis, and more importantly, will be able to help you to treat the canal compression and recover from this epidemic health concern.